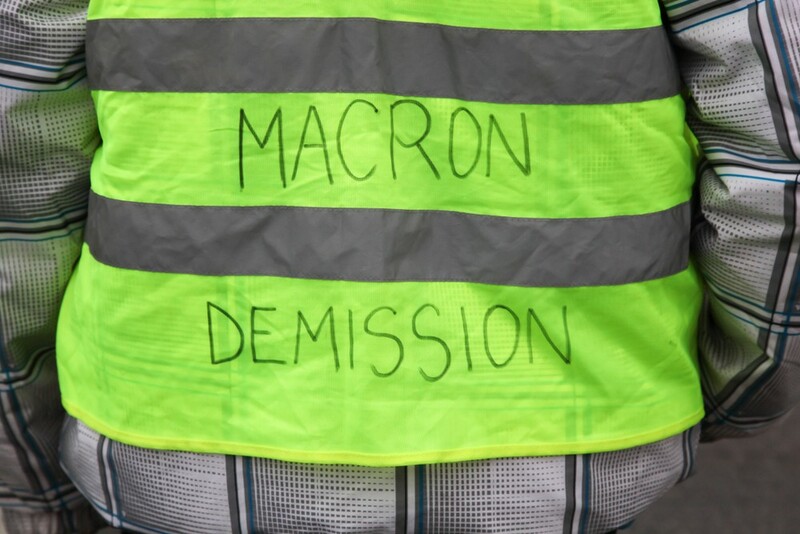 If you haven’t heard of the “Yellow Vest” movement in France, here’s a quick rundown. French President, Emmanuel Macron, had planned to impose a fuel tax, which would raise gasoline prices as a means to lower the French carbon footprint. Stark opposition came from rural areas as they would be the ones who are affected most due to the fact that they are the ones consuming the most gas. Gaining traction in larger cities, most importantly Paris, the movement became too large to ignore. On Wednesday, Macron had conceded to the “Yellow Vests” and announced that the tax planned for January 1st will not be instated. “the President of the Republic and the Prime Minister have wished together that the increase in the carbon tax provided for in the PLF (draft budget law-Ed) 2019 be deleted,” the Republic released in a statement. This move came after a grand demonstration in Paris, on Saturday, which turned violent, resulting in the arrest of over 400 demonstrators and the destruction of public property. Although the tax has been cancelled, protestors are not happy. What was originally a fight to keep prices down, has turned into an anti-political class movement. Some protestors are now calling for the reinstatement of an estate tax imposed on the wealthy, however, Macron has no intention of walking back its alteration made in 2017. Carlos Braadt is a graduate of SUNY New Paltz where he studied History. While at New Paltz he had taken a liking to the domestic and international political theater which motivated him to take a minor in International Relations. Seeking to become a news correspondent, Carlos has taken up writing about current economic trends as well as politics. Outside of his studies, Carlos enjoyed exercising and playing on the club lacrosse team and is always looking for a new group to play with. France will deploy more than 65,000 security forces amid fears of new rioting at protests Saturday in Paris and around the nation, despite President Emmanuel Macron’s surrender over a fuel tax hike that unleashed weeks of unrest. Generally anti-Macron French are unhappy with his support for domestic austerity and his fuel tax on consumers. The left and workers are unhappy with his campaign against organized labor. Those are all centrist/liberal policies. Though French President Emmanuel Macron has backpedaled on a controversial fuel tax, protests are expected to continue in France over perceived inequality at large. Historically, direct action has been a consistent part of French political culture.